Of course, we always interrupt regularly scheduled posts for fish findings and other information more ripe on the vine. I managed to get a friend of mine onto some nice largemouth bass at Lake Kiowa yesterday, and while I was fishing from the back of his boat (I’m the “driver”), I managed several (smaller than his) largemouth bass and some very nice crappie. 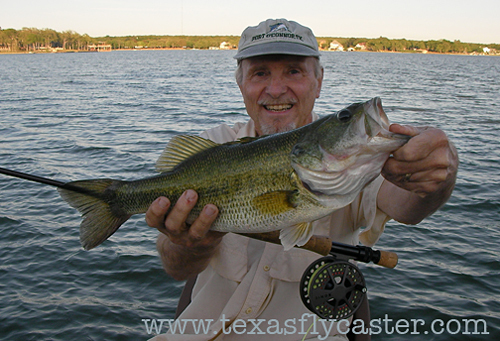 He caught two hog largemouth and an assortment of smaller fish, but was visibly happy to catch his personal best LMB on a fly rod. Don’t forget there’s a kayak fishing tournament at Isle Du Bois park, on Lake Ray Roberts, this Saturday. 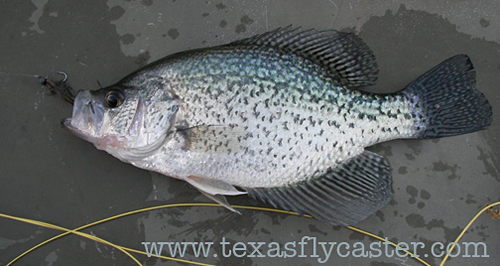 Details can be found in the comments, and you can get straight to fountains of information on the Texas Kayak Fishing forums. I will be there peddling Diablo Paddlesports kayaks, and now have an Chupa Cabra to add to the Adios, so you can try either model out this Saturday at Isle Du Bois Park. Have to go back and read the details on TKF forum. Launch is at Jordan Branch, but I think everyone is staying at IDB park. Anybody? Anybody? Anybody? The details of this were written in lead and hammered on for months, so I could be behind on the final version of events and locations. The kayak fishing tournament has moved to Jordan Branch. I guess the folks that know the lake better than me thought that was a good idea. South wind will blow that wisdom away. Ponds are on! Make sure to play the edges if it rains.